VALVE USER magazine is BVAA's quarterly publication, which, in addition to association news, includes industry news, updates on product developments, application stories and training articles. VALVE USER is distributed to thousands of industry professionals across the globe. Most receive 'hard copies', but many hundreds of copies are distributed by email. 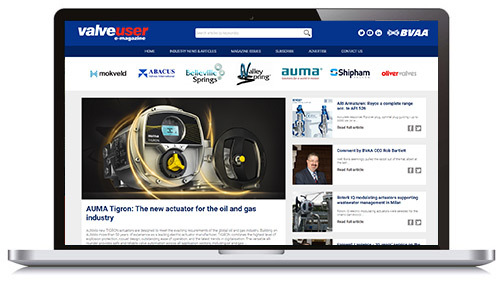 Please see our dedicated website www.valveuser.com for more information and to order your copy.